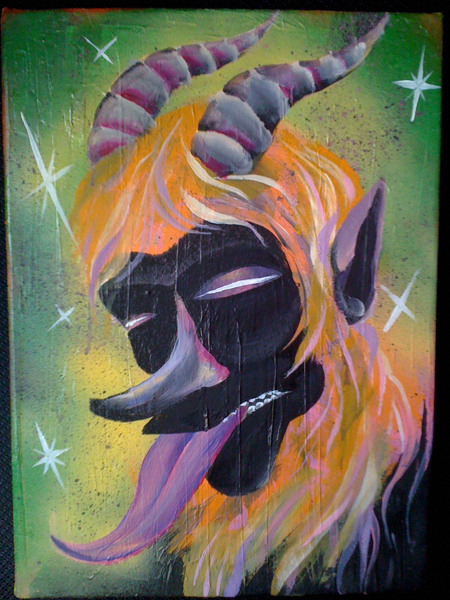 Tonight is reception for THE KRAMPUS ART SHOW in 127 Essex Street, Salem, MA at Fool’s Mansion. A group of artists reflect on the dark servant of St. Nicholas, who delivers threats instead of treats. The show will be up all December. 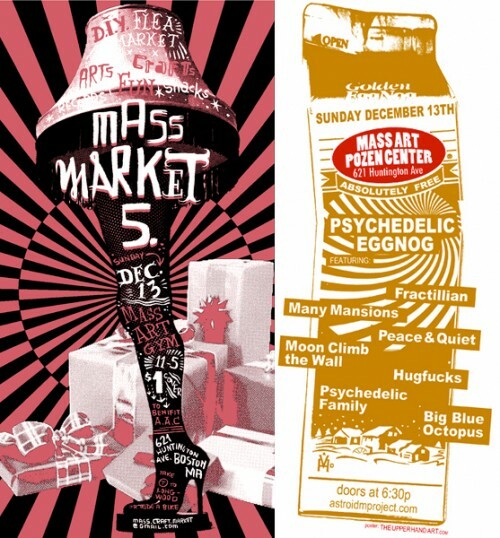 The MassArt double header will take place Sunday December 13th. Kicking off with the 5th annual Mass Market “d.i.y. craft fair”, a day of festive music, vegan cupcakes, weird nick-knacks, and silly art. Followed by an evening of strange music, designed partially to get you out of your pants, and partially melt your face off… Yeah, I made the flyers. 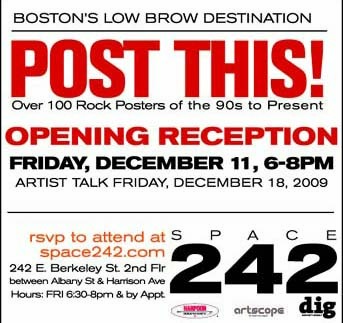 Friday December 11th, is the opening reception of POST THIS at Space 242, a group show exhibiting gig-posters from the past two decades. Another great line-up featuring Boston’s favorite illustrators and designers. The show will be up all month, be sure to stop by.